(Formerly Dorint Hotel) Blvd.Charlemagne 11-1040 Brussels, Belgium. 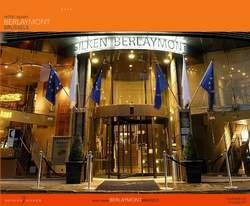 In the heart of the European district, steeped in the cosmopolitan atmosphere of Brussels, you will find this exceptional hotel: the Silken Berlaymont Brussels. It offerswarm hospitality and an exclusive setting, combining fine architecture with comfort and elegance. 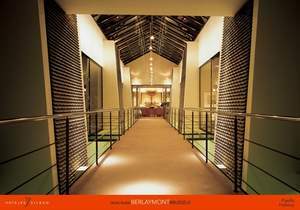 Hotel Silken Berlaymont 214 luxurious rooms are fully equipped to offer the maximum of comfort to our visitors. The care taken in their decoration can be appreciated by their light-toned wood-paneled walls, pleasant textures, contemporary furniture and comfortable bed. All 214 rooms have there own unique photograph, minibar filled with cold drinks, trouserspress, iron and ironboard available, electronic safe. All rooms are air-conditioned with individual control, coffee and tea making facilities and all rooms have access to either high-speed internet or wireless connection. A complimentary "Welcome" bottle of water in each room. Enjoy a Romantic Break in Brussels. You will be welcomed with a bottle of cava in the room. During your stay, free entrance to the Relax Spa with sauna, Jacuzzi, steam bath, infrared carbine and fitness rooms. All 214 luxurious rooms are fully equipped to offer the maximum of comfort to our visitors. Each rooms has its own unique photograph, mini bar filled with cold drinks, trousers press, iron and iron board available, electronic safe, air-conditioned with individual control, coffee and tea making facilities and all rooms have access to either high-speed internet or wireless connection. The L’Objectif Restaurant is the perfect place for a business lunch, an intimate dinner or for snatching a quick bite. With capacity for 95 diners, it is set out in several separate areas sharing the same pleasant atmosphere. The cuisine of Yves Legros lets you choose between the Brasserie menu and the hotel’s gastronomic specialities; regional recipes and international dishes; creative and more classical cuisine. Every three weeks, Hotel Silken Berlaymont chef creates a series of dishes to introduce a seasonal product, or inspired by the regional cuisine of a different country throughout the world. Hotel Silken Berlaymont conference rooms are ideal venues for organising conferences, seminars and meetings in a unique setting right in the heart of the capital. All public rooms are modular and can be adapted to accommodate anything between 10 and 150 guests and have daylight. All offer Wi-Fi connection, broad band Internet and hi fi, concealed lighting, audio equipment, projector, translation booths, telephone, etc. Hotel Silken Berlaymont catering service offers coffee breaks, coctktails, business lunches and dinners. Organize your meeting in a living museum. Hotel Silken Berlaymont 7 multifunctional meeting roomsare situated along Hotel Silken Berlaymont Zoom Gallery , where European artist present their latest photo exhibitions. 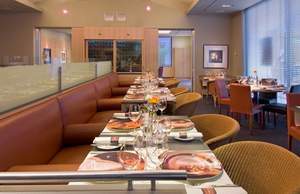 We can accommodate an intimate board meeting for 10 persons up to a cocktail for 150 guest. 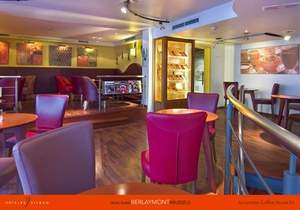 Your coffee breaks, walking lunches and after meeting drinks will be served in Hotel Silken Berlaymont stylish Schuman lobby . Hotel Silken Berlaymont conference professionals will assist you from A to Z in the organization of your conference. 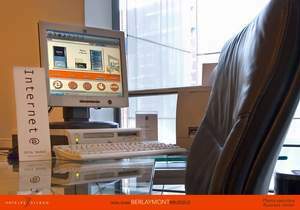 Making your event a success is Hotel Silken Berlaymont main target. A hectic day should ideally be followed by a time of quiet and relaxation. Forget the day-to-day bustle and look for that inner peace. Hotel Silken Berlaymont Relax Spa is equipped with sauna, Turkish bath, steam bath, jacuzzi, infrared cabin, terrace, massage room, and fitness room equipped with cardio vascular equipment.